Main Film, OBORO, PRIM, and Vidéographe are pleased to welcome Kim Kielhofner to the LUX residency. Through this residency, Kim Kielhofner is proposing to develop a synchronized two channel video work that will investigate speculative fiction, or science fiction. She is particularly interested in the idea of life in Simulacrum, what does it mean to experience freedom, and the simultaneity of time. Through this residency, Kim Kielhofner will develop a synchronized two channel video work that investigates speculative fiction, or science fiction. Looking at diverse texts, she wants to look at the tropes and visual markers of the future represented across a range of media. She is looking for the idea of life in Simulacrum, what does it mean to experience freedom, and the simultaneity of time. Kim Kielhofner’s practice involves working with drawing, writing, and the moving image through collection, collage, and narration. She has created many short video works that involve re-contextualizing archival or found material. These techniques embody a process that examines her environment and shifts through the narratives that are woven in it. Working in video, the artist uses these narratives, particularly studying the historical implications of these in how we understand stories, how we remember, and how we place ourselves within them. 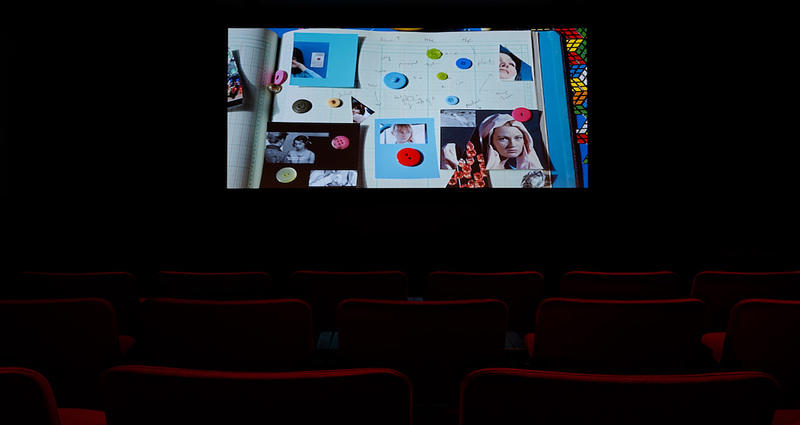 Using techniques and footage from diverse cultural spaces, from cinema to Internet video to the home movie, she brings these together under narrative forms. The narrative sometimes punctuates, sometimes connects the image and sound. Kim Kielhofner uses timing, pacing, and the quality of the image itself to play off of each other to expand the space and create a layering of histories and meanings. Her recent work has been based around the research and re-enactment of moments from cinema and literature. She takes examples dispersed across time and theme and create a constellation of connections and layers. Kim Kielhofner is interested in the possibilities of transformations in the repetitions of texts. Placing elements in incongruous contexts and creating a differing dispersion of images and texts allows for a peek under the mechanisms that have driven these texts. In this there is the possibility for further pathways and connections and ultimately a different understanding of how we ourselves are actors in these texts.